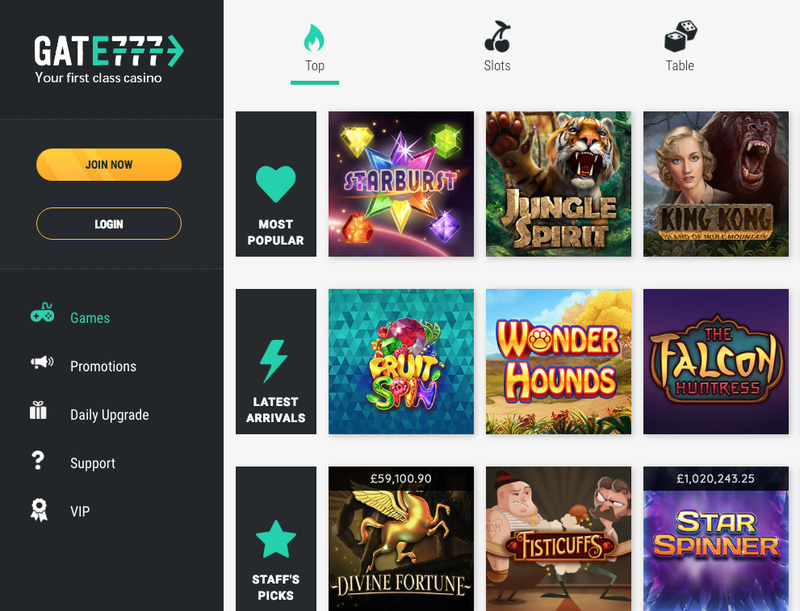 When it comes to finding a name for your online casino, originality is important above all else, because you need a name that is easy to Google, it’s that simple. Gate 777 seems to have missed the memo on this, because not only does it include the numbers 777, which immediately confuse it with 777 Casino (and 777 Baby Casino, and 777 Planet, and CasinoStar777, there’s a lot, is what we’re saying), but it has an even bigger Google issue. If you search Gate 777 Casino, you may find the site you’re after, but if you just Google Gate 777, you will just get a whole bunch of flight details and information about various global airports. This is something that Gate 777 is aware of, because the site is airport themed, but it is still a strange decision to actively make your site harder to Google. 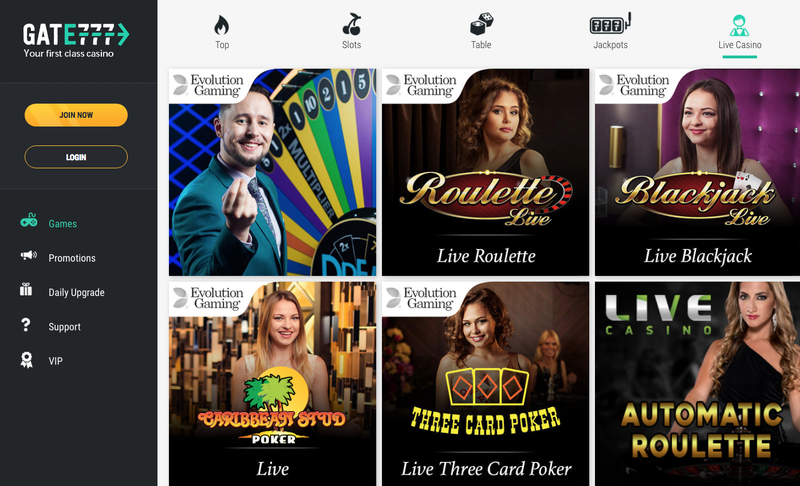 Whatever the reasons, if you do get to Gate 777 you will find a site that is clearly going all out to try and create a splash on the online casino market. As mentioned an airport is the theme here, and that’s what you’re met with when you first visit the site. A banner across the top of the page shows a stunning fictional airport, with planes flying in and out of it, and a huge Gate 777 sign outside it, which might suggest that Gate 777 is the name of the airport? It’s difficult to know, it looks good anyway, regardless of why. Cartoon-like professional looking business people stand in the foreground, while billboard adverts outside the airport show cleavage-first photos of cartoon women, and a slot machine. Whatever your opinion on the image and artwork, clear effort has been made to create something eye-catching here, and that should be respected. Scan down the page and you will find thumbnails for popular games, while games, promotions VIP, and support tabs down the side of the page ensure that navigation is simple throughout. The blue and white colour scheme with blocks of black to soften it brings this site to life nicely, and is likely to appeal to a wide range of players. Looking good is one thing, but it’s the games that matter, and it is clear that Gate 777 is fully aware of this with titles coming from 1x2 Gaming, 2 by 2 Games, Aristocrat, Big Time Gaming, Blueprint Gaming, Elk Studios, Evolution Gaming, Foxium, Games War4ehouse, Just For the Win, Leander, Lightning Gaming, Magic Dreams, Merkur, Microgaming, NetEnt, NYX, Probability Jones, Quickspin, Rabcat, Sigma Gaming, Spike Games, Storm Gaming, Sunfox Games, Thunderkick, and more. It is clear from the outset that Gate 777 is looking to ring you everything you could want, and a fair few titles that you may not even have been aware that you want yet. Classic slots, video slots, and jackpot slots are here in abundance, with new releases and old favourites living side by side, while table and card games including blackjack, poker, and roulette in several variations are available both as usual casino games and in a live casino setting. Gate 777 knows its audience, its for business travellers with a lot of time for mobile gaming, and this site is likely to give you a better experience than the majority of airlines!